Ambassador Theater is holding a casting call for We Won’t Pay Won’t Pay by Dario Fo. 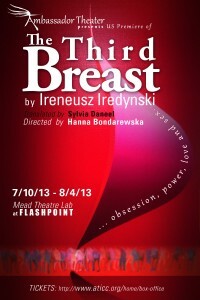 The play will be produced at the FLASHPOINT, Mead Theatre Lab, 916 G Street, NW, Washington DC. The production will be directed by Joe Banno, a Helen Hayes Award-winning director and former artistic director of Source Theatre Company, who has staged productions at Folger Theatre, Theatre J, American Century Theatre, Wolf Trap Opera, and dozens of other companies in the DC-area and around the country. An Italian avant-garde playwright, manager-director, and actor-mime, who was awarded the Nobel Prize for Literature in 1997. A theatrical caricaturist with a flair for social agitation, he often faced government censure. Dario Fo wrote over 70 plays, coauthoring some of them with Rame. Among his most popular plays are Morte accidentale di un anarchico (1974; Accidental Death of an Anarchist) and Non si paga, non si paga! (1974; We Can’t Pay? We Won’t Pay!). As a performer, Fo is best known for his solo tour de force Mistero Buffo (1973; “Comic Mystery”), based on medieval mystery plays but so topical that the shows changed with each audience. URGENT CASTING CALL–Special performance June 14th! City of Alexandria Celebrates Arts and Extraordinary Arts Organizations and their Anniversaries! Are you ready to move, perform in beautiful masks, entertain and have fun? 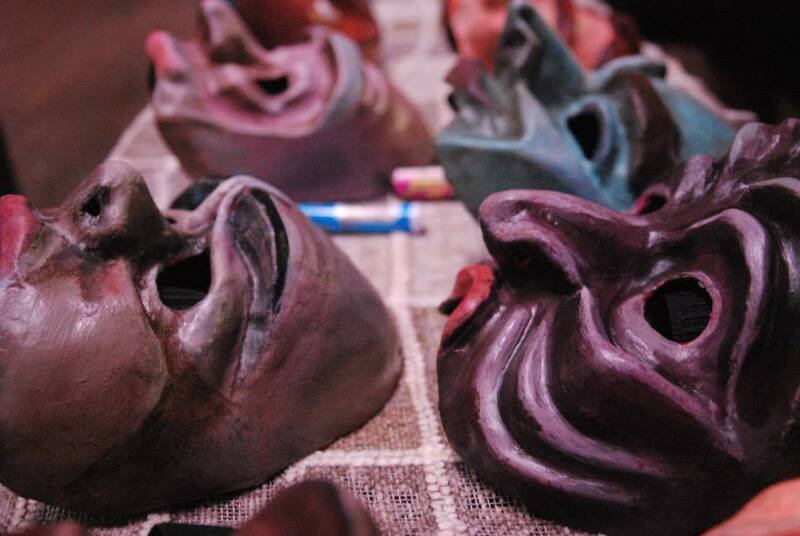 Ready for an intensive movement, acting in masks workshops in May and June? We are casting young Female/Male actors, movement/flexibility is a plus, acting in masks ability – some funny scenes, excerpts from “Dyskolos” by Menander to be performed at a special event in Old Town Alexandria June 14th at 2 PM! A wealthy young man falls in love at first sight with a beautiful, but poor farmer’s daughter. The only thing that stands in the way of their happiness is the woman’s violent, misanthropic father. This play will be performed in an updated mask style drawing upon such diverse influences as Ancient Greek, Commedie Francaise, and The Three Stooges. Experience with physical acting, masks, pantomime and classical text are all helpful skills. If you like to have fun and have some experience, please contact Hanna at ambassadortheter@aticc.org to schedule your casting call! DYSKOLOS , part of Special Celebration of the Greek Culture at the George Washington Masonic Memorial in Old Town, Alexandria VA January 18, 19, 2014. 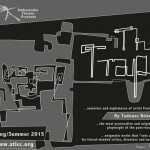 ARE YOU IN DC THIS SUMMER AND WANT TO GET INVOLVED WITH A UNIQUE THEATER COMPANY? Ambassador Theater is looking for summer interns to run the front of house for their summer production, The Third Breast, next month. Ideal applicants are organized, joyful, theater-lovers and experienced in customer service. Must be willing to potentially be involved with/perform in the pre-show “rituals” (the play takes place in a commune) as orchestrated by our illustrious director, Hanna Bondarewska. ***Must be available for a few hours on July 6-9 for dress rehearsals. ***The run is July 10-Aug 4 with performances at 8p Thurs- Sat and 2p on Sundays. Interested individuals should contact our stage manager, Rachel Silvert (rachel.silvert@gmail.com), for more information. Open Casting Call April 10, 2013 at DURANT ARTS CENTER! and compromised playwright. The play was written in the 1970′s by acclaimed human rights activist and the first president of the Czech Republic. Bring your photo/resume and be ready to move and read from the scripts ! Casting Call for Hopa Tropa Kukerica! Please prepare a comic monologue and 16 bars of a song. Actors who will be called back will be asked to dance and improvise–callback date TBA. Please be open to the idea of touring with the show! Please make sure to sign up for your time on eventbrite and bring your photoresume to audition.